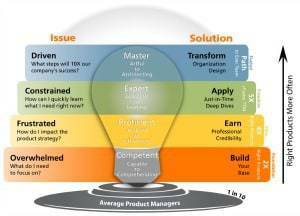 Product management and innovation is about creating value for customers by solving a problem they have. We accomplish this through a tangible product or an intangible service. Done correctly, we have a proper product-market fit — a product that satisfies the needs of a specific market. Finding the correct product-market fit is the tricky part. 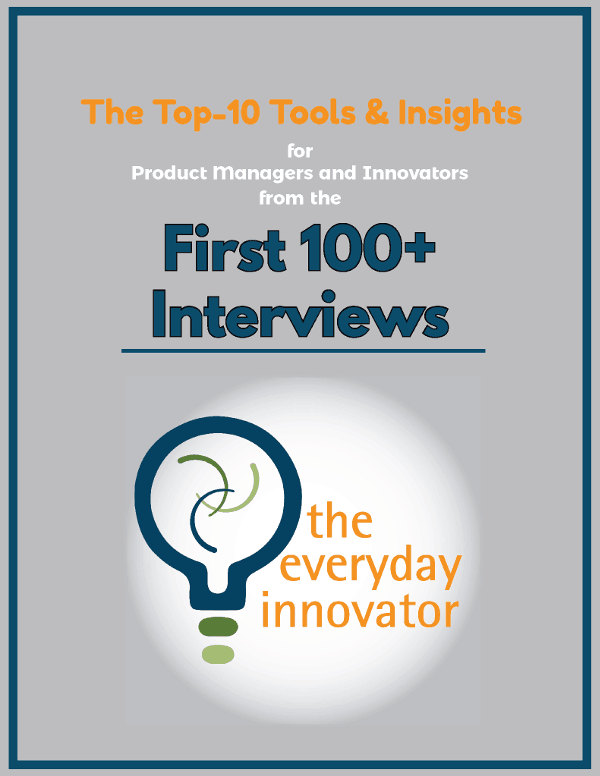 It is also the topic of my guest’s book, titled The Lean Product Playbook: How to Innovate with Minimum Viable Products and Rapid Customer Feedback. 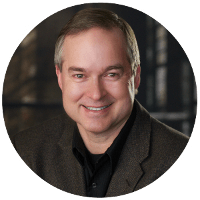 The other is Dan Olsen, an entrepreneur, consultant, and Lean product expert. 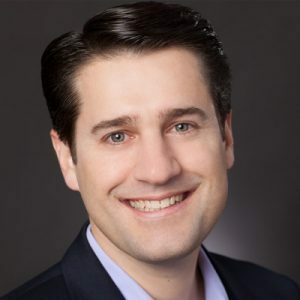 Dan has worked with a range of businesses, from small, early-stage startups to large public companies, on a wide variety of web and mobile products. Prior to consulting, Dan worked at Intuit, where he led the Quicken product team to record sales and profit. [2:05] Can you give us an overview of the process of achieving product/market fit? It’s a five-layer pyramid that all starts with the market. First, you decide who your target customer is and how your product is going to solve a problem they have. The top three layers are product layers: value proposition, feature set, and user experience. Once you make it to the top of the pyramid, there’s a sixth step that involves testing prototypes or actual products with customers. There’s room in the pyramid for iterations along the way by creating, designing, testing, and revising hypotheses. [7:38] How do you find your target customer? I’ll share an example from one of my clients. I was working with a company that wanted to launch a new product but didn’t have any development resources. It centered around the idea of direct mail, or junk mail and providing transparency about why someone was receiving a particular piece of junk mail — similar to a credit report. The target customer was people in the U.S. who receive junk mail. [10:22] How did you find the underserved needs? When it comes to needs you need to live in the problem space, not the solution space. Most people naturally live in the solution space and it’s a product manager’s job to get people out of it to focus on problems. From there, you can use divergent thinking to come up with all of the possible ways to improve the customer’s life. This will generate many ideas that need to be prioritized. In the junk mail example, the priority need was “Learn why I get the junk mail that I get.” Other ideas were “help me save money by getting relevant offers” and “help me compare my spending habits to others.” A secondary benefit was being environmentally friendly by reducing junk mail. We had six needs initially and chose two to focus on. [19:25] How do you determine the value proposition? We had six benefits, which is a lot to test, so we split them into two groups. Both had the core value proposition, which was learning why I received so much junk mail. One group paired that with the cost-saving angle, while the other paired it with the environmental angle. I like to use the Kano model for competitive analysis to determine must haves, nice to haves, and distractors. [22:07] How do you derive feature sets from the value propositions? We took the core value proposition, which was helping people realize why they are getting the junk mail they get and figured out how to help them see that information through a marketing report that’s similar to a credit report. It contained all of the consumer data that marketing companies had on someone, plus a marketing score to show how likely they were to be targeted for junk mail. We built it out enough to demonstrate a functionality on a simple website. That testing leads to the development of the MVP, or the most valuable proposition. [28:52] Where does the user experience fit into this process? Up until this point in the process, it’s been entirely words on paper. UX design is a critical part of any product development process. I recommend starting with hand sketches, then progressing to wireframes, then mockups. In the end, you want to get to a high fidelity prototype, but you shouldn’t spend forever perfecting it. [33:18] How can you test your prototype with customers? At this point in the process, it’s important to talk with the people you targeted back at the beginning. You can’t just pick anyone to talk to. In the junk mail project, we used behavioral questions to determine whether they valued saving money — things like whether they clipped coupons or had a Costco membership. Once we had our pool, we led them through the prototypes. The testing didn’t go very well at first and the idea of a marketing score didn’t have a lot of appeal. We ended up pivoting to reducing junk mail and starting from scratch, which wasn’t a big deal because we hadn’t invested a lot of resources in the first place. Getting in front of customers is essential — they will guide you to where you need to go. Connect with Dan and get resources at his website, Dan Olsen.